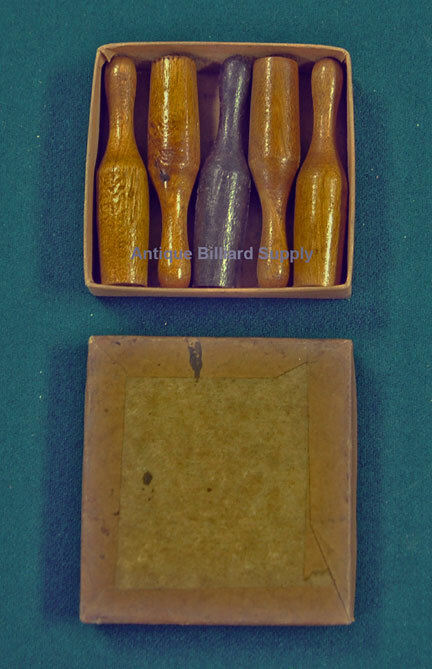 #10-07 Rare set of pins for use in the many varieties of "pin pool" as described in the rules for billiard games. One darker pin and four of lighter color as specified in the rules for the various games. Original packaging.